Despite recent facial images of Jah Wobble suggesting that he is slowly morphing into the reincarnation of the late, great Spike Milligan, I am happy to report that the Invaders Of the Heart (and original PiL) man’s latest outing is anything but a joke. The comparison still works though, as both are/were geniuses in their own fields, pushing boundaries and challenging their audiences whenever possible. To that end, the vast range of possible influences is palpable in each pounding pulse and every musical glory hole. So right off the bat, we have ‘Chunk Of Funk‘, whose chucking guitar lines scream “Nile Rodgers!” so loudly at you that when you look back at yourself, you realise you’re now wearing an open black shirt, a bright white Saturday Night Fever jacket and a sparkly gold medallion. But the key thing with Jah Wobble’s music is that he doesn’t stay on any buses too long. And if he does, you can be damn sure he’s going to force the driver to take a different route. Every damn time. Some tracks work better than others, as you might expect with such a sprawling piece of work, but then, I guess each creation is so markedly different in terms of their aim, that it would be hard to paint such a thing in a completely coherent manner. The only times when it tails off a bit are the few moments where it feels like Dream World could quite easily play as a backdrop to the BBC Ceefax pages or, as a more recent riff on the same theme, ITV’s Nightscreen. Thankfully these are only minor quibbles though, and the vast majority of it, such as the dubby but emotive ‘Strange Land‘ or the gorgeous ‘l’autoroute Sans Fin‘ merely confirms that not only is the erstwhile John Joseph Wardle a pioneer, a terrific songwriter and an undersung great of commercial music’s last 40 years, he’s also a fine classical composer to boot, and really, you’ve got to respect that. 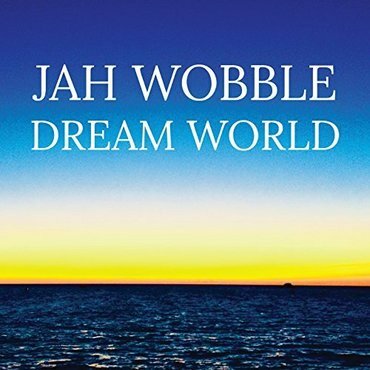 Dream World is out now on Jah Wobble Records.